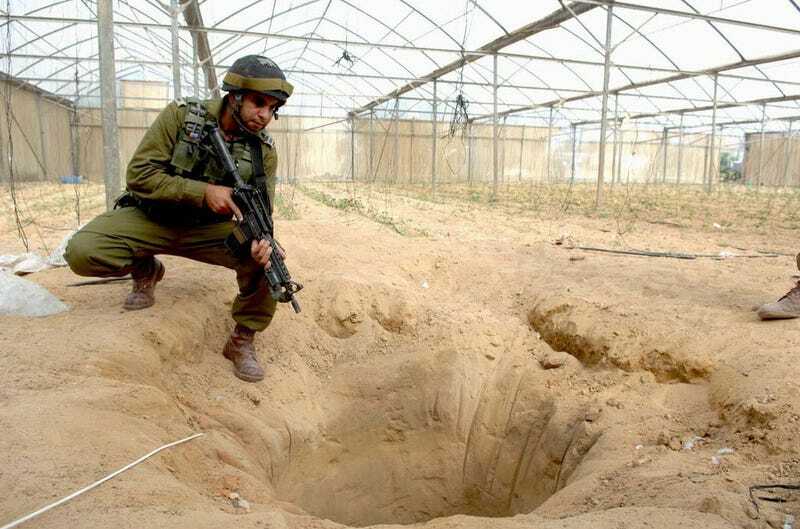 Israeli troops claim that they have discovered more secret tunnels that Hamas is using to get into the country. Though the tunnels sound terrifying, military strategy experts say they have little value when it comes to battlefield results. In more than 2,000 years of warfare, tunnels may have mattered more for their impact on the psychology of the combatants — both aggressors and defenders — than for their battlefield results. During the 1st century A.D., Germanic troops, finding that they were no match for Roman legions in open battle, dug concealed trenches linked by tunnels. By this means, they were able to ambush their enemy from ground that seemed unoccupied. The Romans grew to fear this hazard but found it difficult to develop an effective response, a problem familiar to the Israelis today. The main advantage of the tunnel, however, lies in its propaganda potential. The notion that tunnels alone have shifted the course of the Israeli-Palestinian conflict is nonsense — but it is nonsense that gives heart to the Palestinians. The tunnel is an effective symbol of solidarity and struggle. That is what Cu Chi revealed: The tunnels, because of the immense effort required to construct them, demonstrated, in Vietnam and beyond, the enormous determination of the Viet Cong. This explains why the Vietnamese government is keen for tourists to visit the tunnels, which have become iconic symbols of patriotic struggle. Propaganda, however, is a two-edged sword. For the Israelis, the tunnels are an effective way of encouraging images of an embattled nation. We fear most what we cannot see. In this case, the horror of what might lurk beneath inspires a reaction out of proportion to the actual threat. You really should read the whole essay — it's a fascinating look at the role of tunnels in warfare, and why they have become such a potent symbol even today.